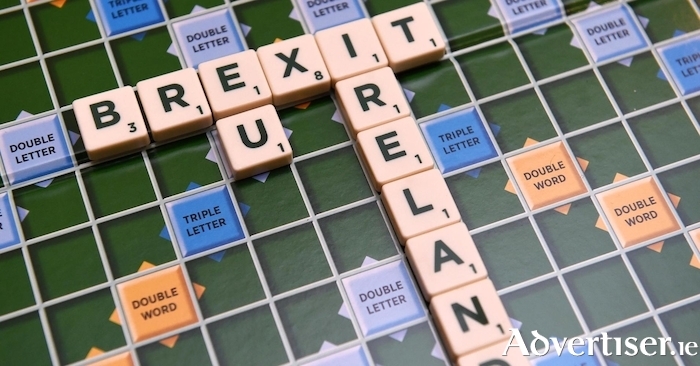 While domestic policy challenges continue to dominate Irish political discourse, the sense that negotiations are reaching a crunch phase is pushing Brexit higher up the agenda. Insider however senses that much of the population, and even some of the political class, are oblivious to the scale of the challenges facing the State on the global front, and the painful decisions and choices that may have to be taken. Brexit – A toughening stance? As Insider has regularly noted in the period since the referendum was held, the direction in which the Brexit process is heading gives him great cause for concern. Some months ago, following the initial phase of discussions it was the sheer sense of inertia and drift which stood out; there seemed to be no urgency to the process, no indication either side really had an idea of where things were heading. Now, as we approach Christmas, Insider is still not convinced we are on the cusp of a breakthrough. What has changed however is that the Government’s position on the border question has hardened with its insistence last week on written guarantees from Britain there would be no hard border before it would agree to allow the EU to move the talks on to the next phase. The backdrop to this latest move is both sobering and welcome. There has been much talk in recent months of avoiding a hard border, not returning to the borders of the past, and of devising imaginative solutions to the border question. The difficulty here is the UK has already announced it will leave the Single Market and Customs Union. Such an outcome makes a trade border inevitable; neither the UK nor the EU will want to allow Northern Ireland become a tariff-dodging backdoor route into the other’s marketplace. The recent EU document which states the only way of avoiding a border is for Northern Ireland to remain in the Customs Union and Single Market brings a welcome injection of realism to the process - although it is equally sobering to realise this is the position facing us. Yet even if Northern Ireland remains in the Customs Union and Single Market, the position will be deeply unsatisfactory if Great Britain leaves. For Ireland, both North and Republic, Britain is a key market; hence this particular solution would see not only the Irish Republic, but also the North, hindered in its trading relationship with its key trading partner - not to mention the political convulsions it would cause, with the DUP in particular likely to be up in arms about a border between Northern Ireland and Great Britain. Could we therefore be in a position where the UK as a whole is forced into an embarrassing backtrack on its stated position, and is forced to remain part of the Single Market and Customs Union, in what would be a very soft Brexit in order to get the talks progressed beyond the first stage, and on to the types of issues the British want to discuss? The stakes are high but, as one British commentator noted at the weekend, the Irish/British relationship and/or conflict is again centre stage and for the first time in almost eight centuries the Irish are arguably in the stronger position. He was not sure the British public grasped that and Insider is not sure the Irish public does either. This raises the stakes, creating dangers as well as opportunities for our Government. Truly the next few weeks have the potential to be a huge period in contemporary Irish history. What is perhaps not readily appreciated however is that over the medium term there are also some huge choices facing Ireland in terms of its relationship with the other side in these negotiations - the EU. Broadly speaking, beyond managing the Brexit fallout, Insider thinks the Irish position on the long-term future of the EU is reasonably clear; it is happy with the level of integration and co-operation that has taken place to date; wishes to remain an enthusiastic member of the EU, and play a full part in its development; would be happy to see it expand to include other countries; but does not wish to see any further significant integration or loss of sovereignty. Not everyone shares Ireland’s analysis and this may pose serious challenges and require us to make hard decisions. Recently, French President Emmanuel Macron make some grandiose noises about further European integration post-Brexit. He is not the only one to suggest deepening integration. This could entail further fiscal integration, including the Irish Government’s bete noir, tax harmonisation as well as some furthering of military co-operation, likely to be a real political hot potato if any meaningful military involvement is envisaged. Some people point to the result of the recent German general election – zoning in not only on the gains made by the far-right AFD but also on the return to the Bundestag and possibly government (notwithstanding last weekend’s developments ) of the Free Democrats who are opposed to the level of commitment - financial and otherwise - that Germany would have to bring to such integration, They also argue that Monsieur Macron is whistling in the wind. This may be so in the medium term, but the pressure will remain and, as was often noted during the financial crisis, in order for the euro project to work properly some deeper form of fiscal union will be required. Ireland is therefore not likely to be able to shirk this issue over the medium term. This will raise serious questions for the Irish political class and also, ultimately the Irish public. How far are we willing to go and what are we willing to concede? Ultimately is Ireland likely to find itself isolated as a small player in a large union dominated by the bigger players? The sense of isolation could be exacerbated by the absence of our traditionally closest ally, Britain. As many people have admitted – included some former government ministers – Ireland has over the years often actively followed a pattern of hiding behind Britain when a proposal came up that it did not like. We knew Britain would disapprove so left it to oppose. That cover will shortly be gone. Furthermore, the absence of Britain removes one of the greatest obstacles to further integration within the EU. It will therefore be important for Ireland to build new relationships with other EU countries with whom our interests may align - eg, the Baltic, Scandanavian, and Benelux countries. However, at the heart of this is a conflict; for all the talk of Ireland being a good EU member and of membership having been good for us, culturally the State is still very close to the UK and USA. The Irish psyche will still cling to the relationships with these two countries and, regardless of the technical analysis, will find it difficult to put deepening relationships with the EU ahead of these. On the other hand, there will be great resistance among the Irish public to following the isolationist, inward-looking, moves that Brexit and recent political developments in the USA represent. While talk of Ireland following the UK out of the EU seems far-fetched, could we see a topic that has often been mentioned in the past raise its head again – a two-speed Europe? And, if we do, which lane will Ireland be in? As Insider said in advance of the referendum, Brexit and managing its fallout would only be the precursor of a period of hard decisions for Ireland. As if the challenges on our doorstep were not enough, Ireland also has to contend with the uncertainty and volatility presenting itself in our other traditional ally, the USA. President Donald Trump has recently proposed changes to the US tax code – admittedly the gap between rhetoric and reality tends to be rather large when it comes to US tax reform but it does throw up questions and challenges for Ireland. Also on the matter of tax, the backlash against tax avoidance by large multinationals and the complex global structures that facilitate it creates further challenges for Ireland – on the one hand, we cannot be seen to be soft, and must play a role in addressing these matters, but on the other hand we need to be careful not to be hung out to dry and hamper our own economic competitiveness. Finally, there is the whole matter of global terrorism and security, an issue on which Ireland may be a fringe player, but still an issue likely to bring about changes and measures that will impact on Ireland. It may also cause the aforementioned area of EU military integration to be pressed. All in all, while foreign policy and global politics tend to play only a fringe role in Irish political discourse, there is a compelling case for them to move centre stage right now; Insider hopes to see an increased level of engagement from both voters and politicians in the months ahead. Page generated in 0.1079 seconds.